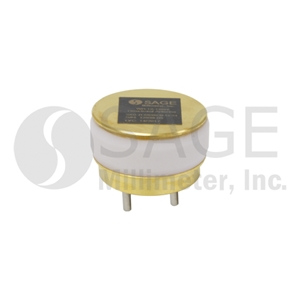 The SAO-5037530530-15-S1 from Sage Millimeter is an omnidirectional antenna that operates from 50 to 75 GHz. This vertically polarized antenna provides 360 degrees azimuth coverage with a gain of 5 dBi and can handle an input power of up to 50 watts. It has a half power beamwidth of 30 degrees in the vertical direction. The antenna has a WR-15 waveguide interface with a standard UG385/U flange and is ideal for IEEE 802.11 ab, WiGig, communication links and EW systems aaplications. PTA PRO2D 2LTE from Parsec Technologies, Inc.